The club is pleased to have life member Brett Niblett as Senior Coach and Dane Manning as Reserves Coach for 2019. Training begins on Tuesday the 8th Jan. Contact Senior Coach, Brett Niblett on 0409 328 755 for more information. 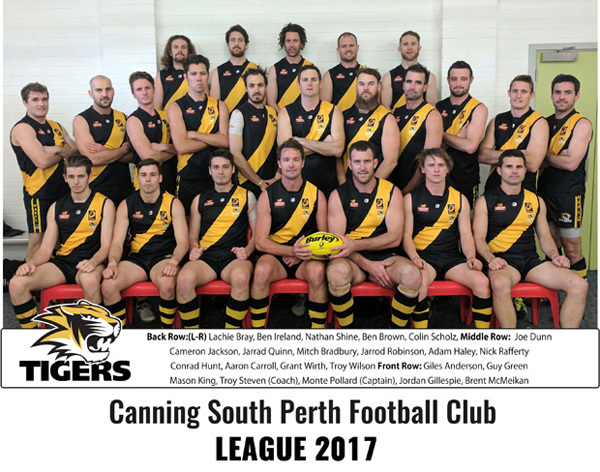 The Canning South Perth Football Club are based at Wyong Oval, Baldock St Bentley. 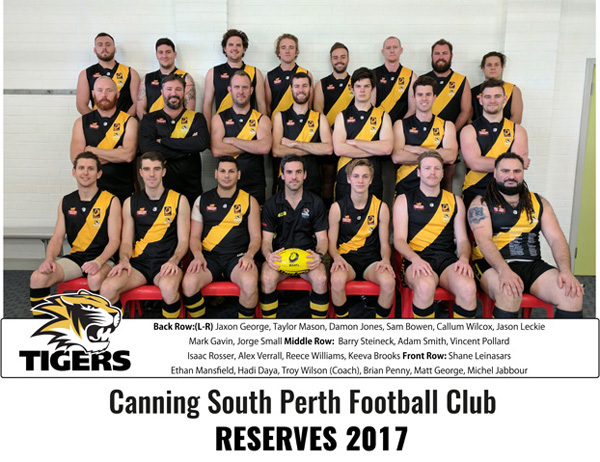 We have been a part of community football in the Canning district since 1905. Our two senior sides will be competing in C2 Grade in the WAAFL, Perth’s largest metropolitan football competition. The club is centrally located at Wyong Oval in Bentley and we have dedicated club rooms with full bar facilities and spacious change rooms with a fully equipped gym. We are very family orientated and have a vibrant social scene meaning your footy experience will be an enjoyable one. We are always looking for new players, members & volunteers of all skill level & age – so come down and be a part of the Tigers today!